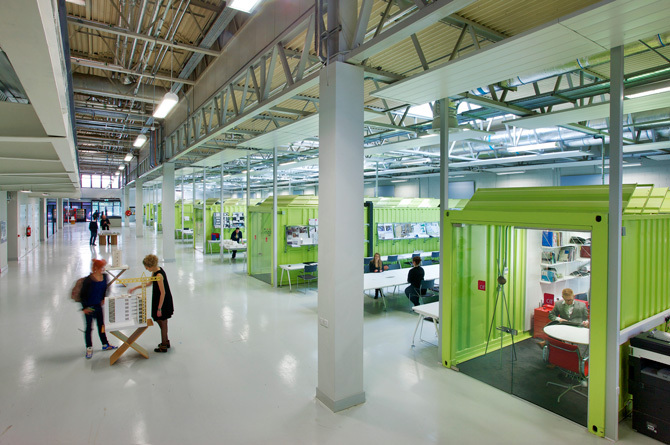 The taught masters which starts from September 2013 offering the opportunity to specialise in chosen areas of the commercial Interior discipline. There are opportunities to fashion a personal track through a multitude of electives supported by the studio spine and a 3 semester project completing in August 2014. The Taught MSc in Technical Architecture develops the principals of Sustainable Technology, compliance, and architectural theory. This new course aims to develop skilled professionals qualified to solve and manage complex problems related to Architectural Technology from advanced technical, design, environmental and cultural perspectives. The research masters open the path for students to pursue personal research goals. Master of Architectural Research (by thesis or project) candidate nominated research- Individual research supervision. Applicants for this degree can nominate the focus of their research. Candidates engage with specialised areas of design research by project or undertake historical and theoretical architectural research investigations in thesis mode. Cork Institute of Technology (CIT) invites applications for the Rísam PhD Scholarship Programme 2013. The Irish word Rísam, meaning to strive or achieve, underlines the purpose of this scholarship programme which is to promote high-end research directed towards the generation of new knowledge or original applications of existing knowledge. Architecture generally falls within the thematic area of Sustainable Energy and Environment, although not exclusively. CIT researcher and lecturer won the IDI Sustainability award in 2012 with fellow CIT researchers for the Zero2020 retrofit project which explores Net Zero Energy Retrofit.